On 11 July 2013, the United Nations Commission on International Trade Law (“UNCITRAL”) adopted a new set of rules on transparency in investor state disputes under the UNCITRAL Arbitration Rules that will come into force on 1 April 2014 (the “Transparency Rules”). 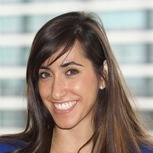 The Transparency Rules bring a new scenario to investor state arbitration, as they provide public access to documents generated during arbitrations brought under UNCITRAL Arbitration Rules, as well as public access to hearings of such disputes and the ability for third parties to make submissions. Additionally, UNCITRAL Arbitration Rules (as revised in 2010) have included a new paragraph providing the Transparency Rules to be part of the UNCITRAL Arbitration Rules. We will briefly analyze (1) the disputes affected by the Transparency Rules, (2) the information which will be made available to the public and finally (3) draw some consequences. Treaty based investor state disputes are the only disputes affected by the Transparency Rules. Consequently, the Transparency Rules do not apply to commercial arbitrations, state to state arbitrations under the UNCITRAL Rules, or investor state disputes brought under contractual claims. However, the Transparency Rules are available for investor state arbitrations initiated under other arbitration rules or in ad hoc proceedings. As previously noted, the Transparency Rules are due to come in force on 1 April 2014. According to Article 1 of the Transparency Rules, investors should notice that for claims brought under a treaty concluded on or after 1 April 2014, the Transparency Rules apply unless the parties to such treaty have opted out. By contrast, for claims brought under a treaty concluded before 1 April 2014, the Transparency Rules apply only when the disputing parties have agreed so or if the parties to the treaty have agreed after 1 April to their application. The Transparency Rules provide public access to documents generated during arbitrations brought under UNCITRAL Arbitration Rules, as well as providing public access to hearings of such disputes and the ability for third parties to make submissions. Interestingly the information which will be made available to the public includes the party names, the economic sector involved and the treaty under which the claim is being made, the notice of arbitration, response to notice of arbitration, statement of claim, statement of defense, any written submissions provided by third parties or non-disputing parties, transcripts of hearings, orders, decisions and awards of the tribunal (Articles 2 to 6). Nevertheless, arbitral tribunals have the discretion to maintain confidentiality for certain issues such as protected information and in relation to the integrity of the arbitral process as set in Article 7. Regarding protected information this includes confidential business information, protected information under the treaty or under the Respondent state law or any other applicable law, and information to which the disclosure would impede law enforcement. On the subject of the integrity of the arbitral process the exceptions to transparency are those, which if made public could hamper the collection of evidence, or lead to the intimidation of witness, counsel or even members of the arbitral tribunal.